Are There Foods That Restore Your Enamel? When your enamel gets lost by erosion, brushing too hard, or just time, is that all there is? Or is there a way to be able to replace that enamel to help restore the hardness of your teeth that you need? Luckily, you can eat some things that can help to restore the minerals and vitamins you need to rebuild your enamel to some extent. Granted, if decay takes away half of your tooth, it isn't going to get better by eating a few bits of food, but if you lost some because you were too diligent about brushing, these foods can help. 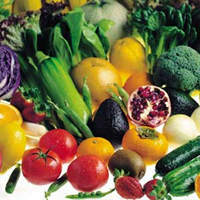 The goal is to eat foods that are very alkaline in nature. The more you can get your mouth away from acids, the more effective the foods you eat are going to be. Start off by changing your snacks to include carrots and celery. Ideally, you want these foods each and every day. They clean your teeth well when you eat them, and help battle the acidic nature of the mouth. The other foods you want all fall into the family that includes cabbage and kale. You want to eat these vegetables as your main source of food whenever possible, just make sure they are cooked so you don't struggle with any problems with your thyroid from eating them raw. Include Brussels sprouts, cauliflower, and broccoli in your diet to round out the foods that best help rebuild enamel. If you want these foods to be most effective, you want sugar, most dairy foods, and wheat out of your diet, too. This is part of why these foods are said to work so well. For more information, contact our office about the condition of your enamel at your next visit!